WeatherTech side window deflectors and rain guards are the best of the best. Picture yourself cruising down the highway, wind streaming through your hair! Wait, what's this? Rain drops are falling and you have no choice but to shut the window. Now's not the time to be cutting yourself off from a steady stream of oxygen, but you don't want to get your new shirt soaked. What can you do? The answer to that is "WeatherTech custom side window deflectors." The custom styled window deflectors by WeatherTech allow fresh air enjoyment, without unnecessary hazards. Ingeniously designed, these vent visors will cut down on wind noise and stop rain from entering your ride. Made to resemble an OE appearance, these wind guards are going to add an unmatched look to your ride. 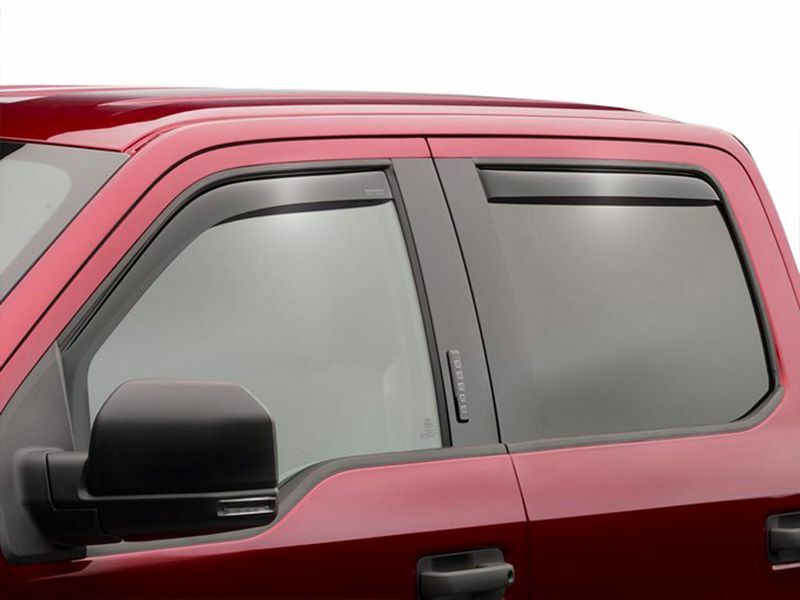 WeatherTech side window deflectors are crafted from high quality tinted acrylic, available in light or dark smoke, ensuring long lasting performance and unmatched style. 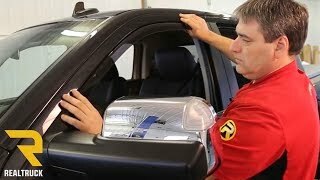 Precision-machined, these window deflectors are designed vehicle specific, perfectly fitting your vehicle. Available in dark smoke, these vent visors will match any color scheme out there. They help to reduce wind noise and allow interior heat to escape. If your vehicle can use added style and function and you enjoy fresh air without the wet shirt, these vent visors are perfect you! This product offers an easy, at home no drill installation. The installation manual is clear cut and easy to read. For additional information, please see the installation manuals below. You may also call us toll free at 1-877-216-5446 or 701-253-5906.